Lion records fall at Pittsburg State Invitational. 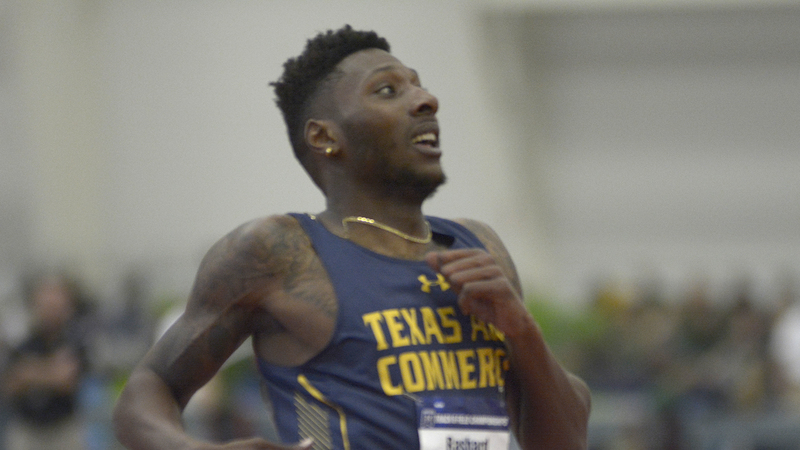 PITTSBURG, Kan. – Automatic qualification for the national meet and a newcomer’s national record highlighted performances for the Texas A&M University-Commerce track and field teams at the Pittsburg State Invitational on Saturday. “This week was a big step in the right direction,” said Lion head track and field coach George Pincock. “Most who competed improved on their marks from last week. We also had the chance to see several athletes compete for the first time this year. Anytime you have automatic qualifying marks, provisional marks, national records, and school records it is of something to be proud. Rashard Clark (Los Angeles, Calif.) won the 400-meter dash with a time of 47.29 seconds, which is an automatic qualifying mark and ties for the third-fastest time in Division II this season. The senior also notched a provisional qualifying time in the 200 meter dash at 21.51 seconds, which is the quickest time in the Lone Star Conference this season. Newcomer Josh Boateng (St. George’s, Grenada) set a school record in the men’s shot put at 17.41m (57-1 ½), earning a provisional qualifying mark and establishing a national record for Grenada. His throw is the second-longest in the LSC this season. Minna Svaerd (Karlstad, Sweden) was part of three provisional marks on the women’s side. She cleared 3.76m (12-4) in the pole vault, then ran the 400-meter dash in 56.21 seconds. Both of those marks are the best in the LSC this season. She closed out the meet in the 4×400 meter relay at 3:50.49 with Atiana Alexander (San Antonio – Northside Taft), Ro’Nisha Simpson (Tatum), and Joy Spann (Frisco – Lone Star). In the throwing ring, Hailey Wanoreck (Beaumont – Hamshire-Fannett) earned provisional qualifying marks in the weight throw at 17.49m (57-4 ¾) and shot put at 13.71m (44-11 ¾). Eboni Coby (Lancaster) improved her provisional qualifying mark in the women’s 60-meter dash to 7.65 seconds. The women’s distance medley relay team of Maiya Collins (Rockwall), Taylor Jones (Garland – North Garland), Shanecia Baker (Tyler – Chapel Hill), and Brandi Stalder (Sanger) set a school record at 12:48.24 – nearly 14 seconds quicker than the previous record with the fastest time in the LSC this year. The Lions return to action on Friday and Saturday (February 1 and 2) in Lubbock at the Texas Tech Open, one of two meets remaining before the Lone Star Conference Indoor Track and Field Championships. No. 25 Lions earn a hard-fought 85-78 victory over UT Permian Basin. 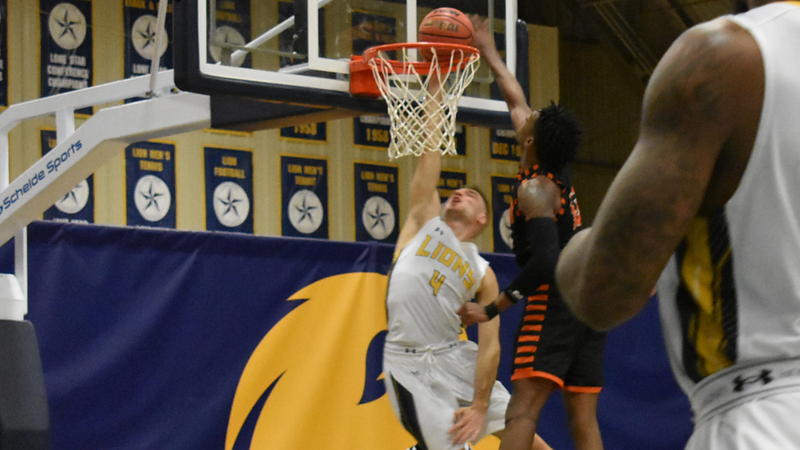 COMMERCE– The Texas A&M University-Commerce men’s basketball team defeated UT Permian Basin 85-78 on Saturday afternoon. In a game that featured 14 ties and 13 lead changes, the Lions were able to pull ahead in the final minutes of the game to get the win. The game was part of Alumni Day on campus. The win brings the Lions to 15-4 on the season and 7-2 in the Lone Star Conference. The Falcons fall to 10-9 and 3-6 in conference play. The Lions return to action on Thursday on the road against Texas A&M-Kingsville. The game will be at 7:30 p.m. at the Steinke Center in Kingsville. – Reggie Reid (Harlem, Ga.) led the Lions with 23 points and also had six rebounds to go with his team-high seven assists. Reid hit six threes in the game, playing all 40 minutes. – Willie Rooks (Houston – North Forest) had 19 points for the Lions and pulled in seven rebounds. Rooks had five threes and four assists and paced the Lion defense with three steals. – Trey Conrod (Kilgore) had 16 points and five assists while Srdan Budimir (Karadjordjevo, Serbia) scored 11 points on 5-of-10 shooting, and electrified the crowd late in the game with multiple hustles plays. – The Lions shot 44 percent from the field in the game and made 38 percent of their three-pointers (15-for-40). UTPB shot 52 percent in the game. – The Lions also shot an impressive 85 percent from the free throw line (12-of-14). – There were 14 ties and 13 lead changes in the game. The Lions took the lead for good with seven minutes left in the game. The lead changed hands early and often as both teams came out firing. The Lions took their first lead of the game in the second minute of action on a three from Reid. The Falcons countered with a 5-0 run to take a four-point lead before the Lions responded with consecutive threes. The edge changed several times again as midway through the half the teams were tied at 17. The Falcons took the lead and held it for the next several minutes, although both teams continued to trade shots. UTPB brought its lead to five points before the Lions made a late run to regain the lead. With two minutes left, the game tied at 35. UTPB took a slim 39-37 lead into the half. There were eight lead changes and seven ties in half. Reid led the Lions with 15 points, with all of his points coming from behind the arc. Conrod added seven points, and Rooks had six. The Lions shot 38 percent from three in the first half. UTPB shot 48 percent from the field. The Lions had just six points in the paint while UTPB had 20. The Lions tied the game again right out of the gate. The Falcons then scored twice in a row before the Lions went on a 7-0 run to regain the lead, including consecutive shots from Budimir. The Falcons responded with an 8-0 run to regain the lead and go up by five, their largest lead of the game. As quickly as UTPB gained the lead, the Lions took it back. Rooks found his stroke, hitting two threes as the Lions retook the lead. Over the next several minutes, the point changed hands like a hot potato. It was not until the 7:15 mark of the half that the Lions took the lead and did not give it back. Both teams continued to battle as the Lions slowly built their lead to seven points at the five-minute mark. The Falcons fought back to cut the lead to four before the Lions took their largest lead of the game, a nine-point advantage. The Lion defense shut down the Falcons late, and the Lions hit their free throws to secure the victory. Lions lead from start to finish in 92-58 win over UT Permian Basin. COMMERCE– The Texas A&M University-Commerce women’s basketball team defeat UT Permian Basin 92-58 on Saturday afternoon. The Lions jumped out to a quick lead and led the entire game. The game was part of Alumni Day on campus. The win brings the Lions to 12-6 on the season and 7-3 in the Lone Star Conference. The Falcons fall to 3-15 and 0-10 in conference play. The Lions return to action on Thursday on the road against Texas A&M-Kingsville. The game will be at 5:30 p.m. at the Steinke Center in Kingsville. – Mykiel Burleson (Pflugerville) led the team with a season-high 21 points. Ekaterina Zhibareva (Liske, Russia) led the team with nine rebounds. – Princess Davis (Shreveport, La.) had her second double-double of the season with 14 points and tied her career-high with ten assists. – Alexis Bryant (Pflugerville) had 12 points and added six rebounds. Alexus Jones (Lewisville – Aledo) also scored in double figures with 10 points. – The Lions shot lights out throughout the game, making 54 percent of their shots, including 48 percent of their shots behind the arc. – The Lions got to the free throw line 24 times, making 18. – The Lions caused 24 turnovers, scoring 33 points. The Lions also had 20 fast break points in the game. – The Lions never trailed in the game. They led by as many as 37. The Lions jumped out to a quick lead and did not turn back. They opened on a 9-0 run, including two shots from three. After the Falcons got on the board, the Lions pushed their lead to double figures. The Lions finished the period on an 8-0 run to lead 23-6 coming out of the quarter. An early three by the Lions brought their lead to 20 points as they continued to shoot well from the field. The Lions then went on an 11-0 run to bring their lead to 30 points. Burleson hit a pair of triples. The edge would remain around 30 points for the rest of the half as the Lions went into halftime with a 52-22 lead. Burleson and Davis co-led the team with 11 points in the half. Jones added eight points. The Lions shot 61 percent in the first half, including 70 percent from behind the arc. The Lion defense also was swarming, holding UTPB to just 30 percent shooting. It was back and forth all through the third quarter, with neither team gaining ground on the other. The Lions scored the first four points of the quarter, and Burleson hit another pair of threes in the quarter. A&M-Commerce led 72-40 going into the fourth quarter. The Lions pushed their lead to as many as 37 in the quarter and left with the win. Kinsie Hebler named FPN Preseason Second Team All-American. 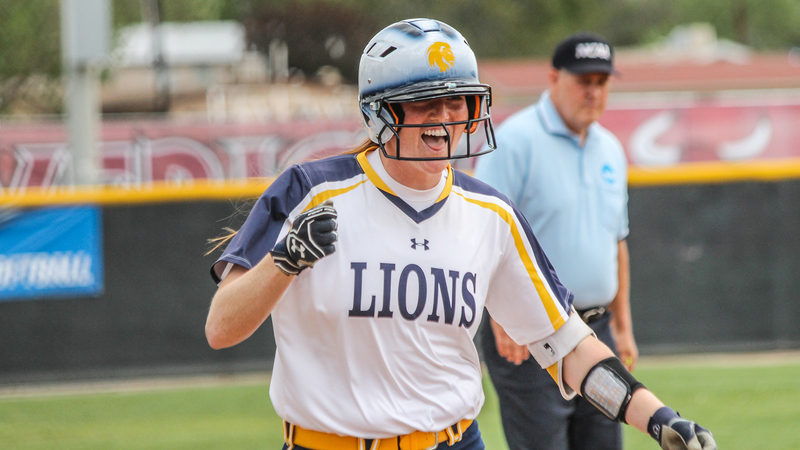 COMMERCE– Texas A&M University-Commerce softball player Kinsie Hebler has been named a 2019 Preseason Second Team All-American by Fastpitch News. The FPN preseason All-America teams were announced this week. Hebler– a junior from Cypress– was named Honorable Mention All-American by FPN last season, one of her three All-America awards during the 2018 campaign. Hebler was also named First Team All-American by both the Division II Conference Commissioner’s Association and by the National Fastpitch Coaches Association. She was also a top-25 finalist for NFCA National Player of the Year. As a sophomore, Hebler played in all 54 games, hitting .505 with a .844 slugging percentage. She hit 19 home runs and 73 RBIs, finished third in the nation in RBIs and sixth in home runs. Hebler was instrumental in the Lions’ postseason success as well. In the Lions’ eight postseason games, she hit .409 with four home runs and 17 RBIs. She had two postseason grand slams, helping the Lions win the team’s first-ever Regional Championship. Hebler and the Lions finished last season as the No. 9 ranked team in the country. The team will begin the 2019 season on Feb. 1 in Conroe against St. Mary’s in the Arkansas Tech Tournament. The Lions’ first home series will be a Lone Star Conference matchup against MSU Texas. The first game of the series will be played on Feb. 15 at 6 p.m. All home games for the Lions will be played at the John Cain Family Softball Field. Princess Davis among WBCA 2019 Class for ‘So You Want To Be A Coach’ Program. 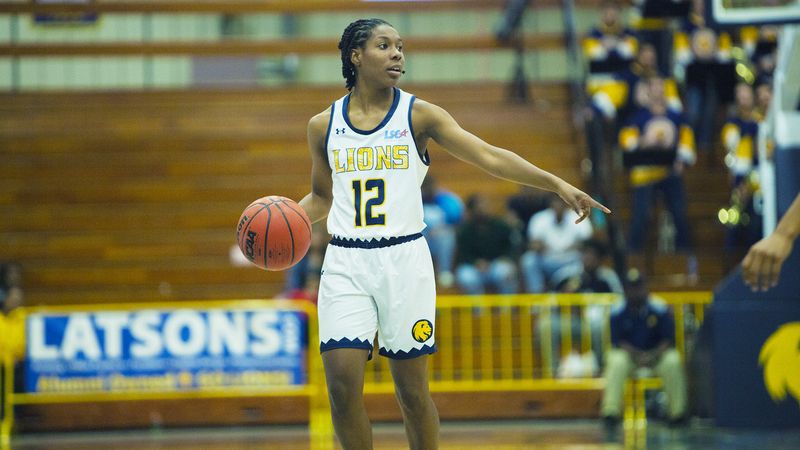 ATLANTA– Texas A&M University-Commerce senior point guard Princess Davis has been selected to participate in the 2019 Women’s Basketball Coaches Association (WBCA) ‘So You Want To Be a Coach’ program. The 2019 class was announced this week by the WBCA. Davis has long desired to become a basketball coach after her playing career. The “So” program is a three-day workshop with presenters provided by WeCOACH. The workshop will take place April 3-5, in conjunction with the WBCA Convention in Tampa, Fla. Participants will learn about the administrative side of coaching, recruiting, how to get hired, skill development, the importance of compliance, and how to balance work and life. Davis is one of just seven players from Division II to be invited. In total, 60 women’s basketball players from across Divisions I, II, III and the NAIA have been invited to the conference. Qualified candidates must have exhausted their final year of basketball eligibility at a four-year institution or have graduated within the past year. Also, the candidate’s head coach has to nominate them and must be an active WBCA member. Each participant is selected based on her academics, contributions to women’s basketball on and off the court, professional resume and a written recommendation from their head coach. Burton will join Davis at the conference, as he has been invited to be a presenter. Burton submitted a proposal to speak. Burton has previously presented for three consecutive years at the NCAA’s “Career in Sports” forum. The objectives of the “So” program are to increase the understanding and application of skills necessary to secure coaching positions in women’s basketball. It is to increase the knowledge and awareness of competencies required for success in coaching, introduce female basketball players to coaches and administrators, and raise awareness of the existing talent pool of female basketball players who have a passion and interest in coaching the game of women’s basketball. For a complete list of this year’s participants, click HERE for the full WBCA press release. Last-second shot off the mark as No. 25 Lions lose 74-73 in overtime to Western New Mexico. COMMERCE– The No. 25 Texas A&M University-Commerce men’s basketball team fell to Western New Mexico 74-73 in overtime on Thursday night. 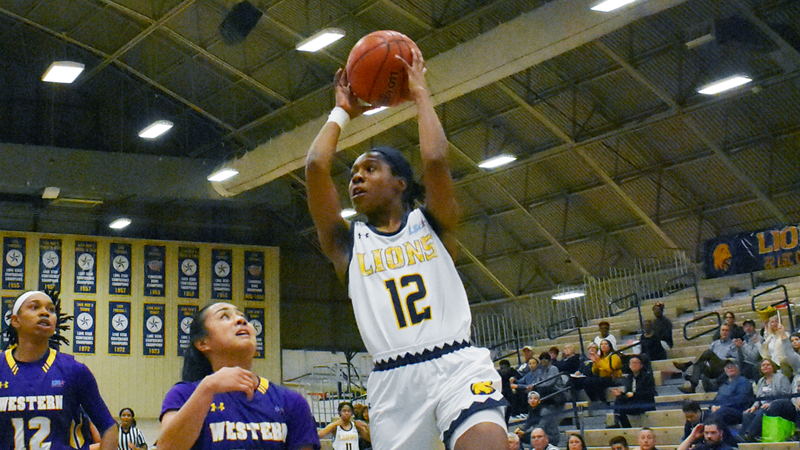 After battling back and forth all night, including a last-second shot to force overtime, the Lions’ had the final chance of the game but could not come up with the win. The Lions fall to 14-4, and 6-2 in the Lone Star Conference. The Mustangs improve to 4-11 and 1-7 in conference play. The game was a part of Youth Sports Night at the Field House. The Lions continue their homestand as they host UT Permian Basin on Saturday as part of Alumni Day. The game will be played at 4 p.m. at the Field House, preceded by the Lion women’s basketball team against the Falcons at 2 p.m. Tickets for the doubleheader are available at WeAreLionsTix.com, by calling (903) 468-8756 or by visiting the Lion Sales & Service Box Office in the Field House. – Reggie Reid (Harlem, Ga.) co-led the Lions with 19 points and co-led the team with three assists. – Willie Rooks (Houston – North Forest) also led the Lions with 19 points, and also pulled in nine rebounds with a team-high four steals. Rooks played the most minutes in the game, logging 42 total minutes. – Rodney Brown (Beaumont – West Brook) had 11 points and added 11 rebounds, recording his first double-double of the season. – Srdan Budimir (Karadjordjevo, Serbia) also scored in double figures with 11 points. Deonta Terrell (Chicago, Ill.) pitched in nine points, and Trey Conrod (Kilgore) had eight points. – The Lions shot 36 percent from the field in the game, struggling from three-point range. – There were six ties and seven lead changes in the game. It was the second overtime game of the season for the Lions. The Lions jumped off to a hot start with an early 16-7 lead. The Mustangs answered back a few minutes later to cut the Lions lead to 20-17. 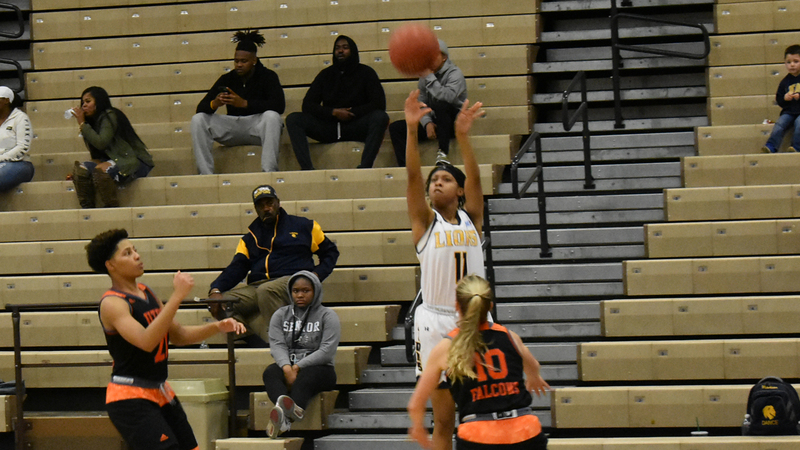 The Lions built their lead back to nine points with four minutes to play, and the teams traded buckets before the Lions took a double-digit 40-30 lead into halftime. The Lions only trailed for 22 seconds of the first half. Reid came out the gates strong with 11 first-half points and two assists. Rooks also added in 10 points to help propel the Lions in the first half. The Lions opened the second half with a thunderous dunk from Brown before the Mustangs went on a run, cutting the Lion lead to four points with 16 minutes left in regulation. The teams traded buckets again before the Mustangs went on a run to tie the game at 48 midway through the half. It was back-and-forth the rest of the contest as neither team took a commanding lead. With seven minutes left in regulation, WNMU pushed its lead to seven points, their largest of the game. The Lions fought back to cut the lead down and give themselves a chance. Cutting the edge to two points, the Lions held the ball with 34 seconds left and a chance to tie. A shot went off the mark, but Brown was there and tipped the ball into the basket to tie the game at 65. The Lion defense came up with a stop, and the game went into overtime. The Mustangs quickly took the lead in the overtime period, but the teams traded shots throughout. There were four lead changes in the overtime period. The Lions twice took the lead, including a three-pointer from Rooks with 25 seconds left to give the Lions a one-point lead. WNMU was able to get to the foul line and retook the lead with six seconds to play. The Lions ran a full-court play and got an open shot, but it would not fall at the horn, and the Mustangs left with the victory. 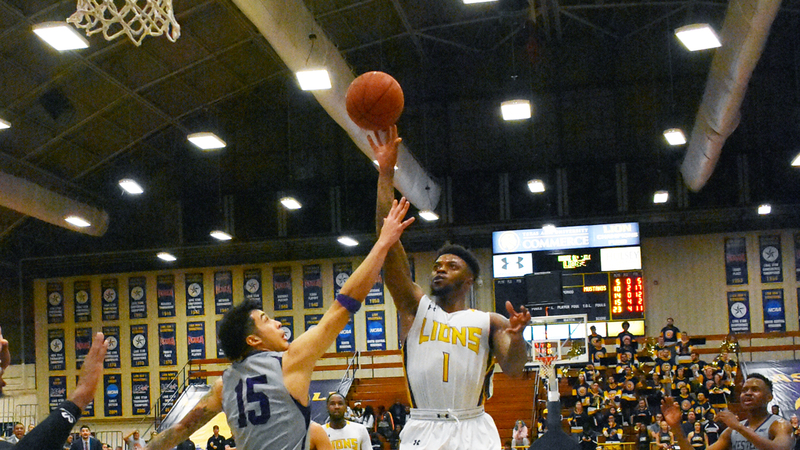 Lions pounce on Western New Mexico with 73-60 win, Davis becomes program leader in games started. COMMERCE– The Texas A&M University-Commerce women’s basketball team defeated Western New Mexico 73-60 at home Thursday evening. Both sides started out cold, but the Lions caught fire in the second half to get the win. The game was part of Youth Sports Night at the Field House. The win brings the Lions to 11-6 on the season and 6-3 in the Lone Star Conference. The Mustangs fall to 6-10 and 2-7 in conference play. The Lions remain at home to host UT Permian Basin on Saturday, as part of Alumni Day. The game will be played at 2:00 p.m. at the Field House, followed by the Lion men’s basketball team against the Falcons. Tickets for the doubleheader are available at WeAreLionsTix.com, by calling (903) 468-8756 or by visiting the Lion Sales & Service Box Office in the Field House. – Princess Davis (Shreveport, La.) led the way for the Lions with 18 points and six assists. Davis started her 102nd career game, becoming the program’s all-time leader in games started. – Ekaterina Zhibareva (Liske, Russia) recorded a double-double with 13 points and 11 rebounds. It was her first double-double of the season. – Chania Wright (Desoto) also added in 10 points and two assists. – The Lions finished the game shooting 42 percent from the field and 33 percent from behind the arc. – On the play of Ekaterina Zhibareva: “It was good for her to see the ball go in the basket. She has been a little discouraged, not scoring the ball well in the paint. She needed a game like this to get the confidence back. She did a great job rebounding too. It was good to see her have another good game. When we have three of our bigs clicking, we are a tough team. It was good for Kate to get this confidence today. Both teams struggled from the field in the first half as each team shot only 34 percent. Western New Mexico just shot 11 percent from three, while A&M-Commerce shot 20 percent from behind the arc. Both teams went on a pair of runs in the first half. The Lions went on a 12-0 run to extend their lead to 22-10, but WNMU answered with a 10-0 run of their own to make it 22-20 with 4:30 left in the second quarter. The Lions closed the half strong and took a 30-24 lead going into halftime. Davis led the Lions in scoring with seven first-half points and recorded two assists. The Lions pounded the Mustangs in the paint with 16 points. Both teams came firing out the gates in the third quarter, as neither side had an answer defensively. The Lions scored 24 in the quarter, while the Mustangs scored 20. Davis led the Lions with seven points in the third and Zhibareva added six points. The Lions pulled away from the Mustangs in the final period, scoring very efficiently. The Mustangs hung around in the contest offensively, but trading baskets did not benefit the Mustangs as the Lions walked away with the win. Alex Shillow named chair of NCAA Division II National SAAC. 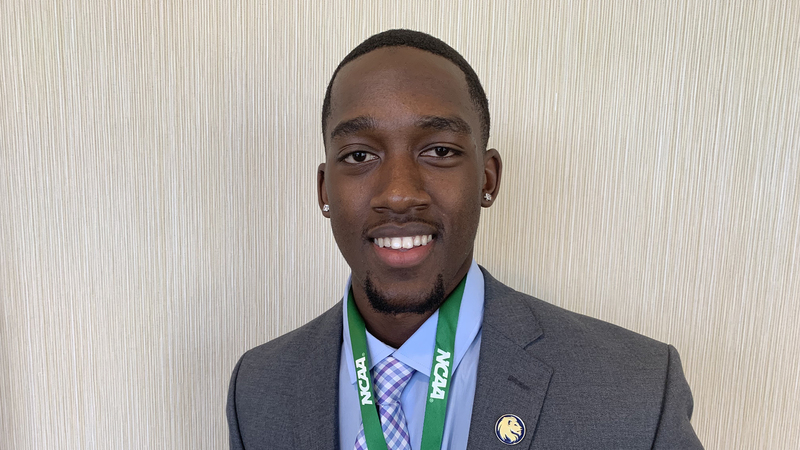 ORLANDO, Fla. – Texas A&M University-Commerce football student-athlete Alex Shillow has been elected as the Chair of the NCAA Division II National Student-Athlete Advisory Committee at the 2019 NCAA Convention. Shillow’s term begins at the completion of the Convention. Shillow has represented the Lions at the national level as the Lone Star Conference representative to the Division II National SAAC since 2018. He is the president of the A&M-Commerce SAAC, which has won the LSC SAAC Cup in three of the last four years, including 2017 and 2018, when Shillow in leadership roles on the A&M-Commerce SAAC executive board. Shillow was elected in a session at the NCAA Convention by the membership of the Division II SAAC, which has a representative from each of the conferences across the division.